Email marketing, SEO, content creation, social media, influencer outreach, lead nurturing. Yes, inbound marketing encompasses them all. And let’s face it – that’s enough to inspire fear in the steeliest and most seasoned of digital marketers. With so many tactics to consider and too many leads to deliver it’s easy to lose focus of what you’re trying to achieve. That’s where a well-crafted plan comes into play. Below we’ll reveal the strategic 7 step process that will help you deliver a customer-warming, boss-pleasing, prospect-loving strategy that’s achievable, realistic and bang on target. Inbound marketing is all about your customers – you have no business in the um… business, if you center your plan around any other silly tactics, tricks or gimmicks. The first step of your plan should, therefore, focus on understanding what makes your customers click, tick and get excited. Get to the heart of your customers’ thoughts, behaviors, problems, needs, and desires by creating well-fleshed-out, fully-defined and real-to-life personas. Pain Points – You need to understand at which points your customers interact with your messages. It is important to identify the pain points your customer's experience and the problems they encounter to make them search for your product or service. This core insight alone can add true depth to your messages. Think about it – identifying your customers’ pain points enables you to target people with both reason and emotion at a time that makes sense to them. You’re basing your messages on real solutions rather than assumptions. And make no mistake about it – your competitors will assume rather than take the time to identify real solutions for real persona problems. That way you’ll win. Different Needs for Different Stages – You’ve probably heard many digital marketers talk about the concept of context. Not all of your customers have the same needs – some arrive at different points of the buying funnel. When mapping out your pain points it’s essential to add context by considering the needs and desires of your different customer types at each separate stage of the operation. The Objectives – Your content strategy objectives should be SMART and need to support your inbound marketing objectives. Maybe they’ll be similar. If your inbound marketing objective is lead generation, for example, your content strategy should certainly support this. Competitor Analysis – The purpose of this phase is not to copy your competitors but to define how you can be better. Research your competitors content marketing and investigate what they get up to on social media using a social media monitoring tool like Hootsuite. Sign up to their newsletter so you can partake in their lead nurturing campaigns and use a tool like Moz’s Open Site Explorer to track backlinks and discover how your competitors score on their overall SEO performance. 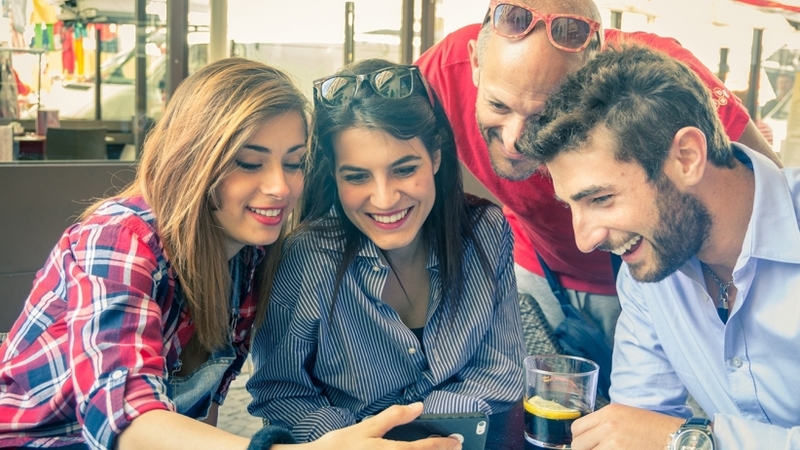 The Content – First it’s important to define how your content will help your customers. Will it educate them? Inspire them? Entertain them? Then you can decide on the types of content you’ll create and the topics you’ll tackle. For example, will you concentrate solely on blogging or will you try video marketing and webinars? Will you create long form posts or opt for shorter but more regular features? Will you seek industry expert opinions? More questions to consider at this phase include: Is lead generation important for your business and if so will you create gated whitepapers to help you generate new, quality leads? If you have a shoe company will you stick to writing about shoes or will you venture into the area of fashion and lifestyle? Distribution – It’s equally important to create a plan for distributing your content. Will you enlist the help of industry influencers or will your trial paid promotion options like LinkedIn advertising, Facebook and Twitter ads or third party platforms? Sometimes your customers will discover your website when they’re not quite ready to buy yet. Maybe they need more questions answered, maybe they need more time to decide whether it’s the right product/service for them, maybe they want to research competitor offerings or maybe they don’t have the money saved at that point in time. Whatever their reason for stalling, it’s your job to keep them warmed up for the sales team to prospect or until they’re ready to buy. Automated email trigger campaigns provide the perfect means to nurture leads. It gives you the ideal opportunity to keep prospects engaged with your content, your brand and your mission. You can segment your lead database based on the action your prospects took to give you their details. You can then set about creating a series of tailored and relevant messages. The Target List – Use a tool like BuzzSumo to help you identify and create an outreach list of potential influencer targets. Then you can set about creating mutually beneficial relationships with these industry influencers. Always give more than you take – offer value and lots of it well in advance of asking for anything back. Once you have established a true connection with these influencers you can ask for a quick quote and a potential share in the politest and most humble manner possible. Guest Blogging Plan – It’s also important to define your guest blogging approach at this stage. Research potential relevant and influential blogs in your niche and read the submission guidelines. You’ll can create a pitch at this stage if you wish but you will have to make sure it’s customized and relevant for every publication you approach. Read this guide ‘Influencer Cheat Sheet: How to Connect, Engage & Get What You Want’ for more tips on how to perfect your personal approach. Now that you have your inbound marketing plan in place you will need to decide upon the tools you’ll use to report on the progress of your objectives and the success of your KPIs. Will you, for example, use Google Analytics to track your goals and conversions? Will you use BuzzSumo to track the success of your content marketing and break down your shares by platform? Will you use Moz’s Open Site Explorer to monitor your SEO progress? Want to become an Inbound Marketing Specialist? Our Online Professional Diploma in Search Marketing is created, validated and accredited by industry experts and will give you the specialist knowledge needed to thrive in the field. Ever since the release of the Society for Marketing Professional Services / SMPS Foundation report, Sell. Do. Win Business. How A/E/C Firms are Using Staff to Win More Work (pdf), I’ve had a number of very interesting conversations with senior sales and marketing executives as well as firm principals. The research – which included almost 1400 surveys and several dozen phone interviews – reinforced some assumptions and provided clarity on others related to architectural practice, engineering practice and construction industry business marketing and business development. If there is one over-arching theme to be gleaned from the research, it is that A/E/C firms are spending more money on business development (BD) than they have in the past – and they intend to increase spending in the future. This conclusion is not based upon any concrete expense forecasts (e.g., percent of net revenue spent on BD), but rather the significant growth of both seller-doer and dedicated business developer positions at architecture, engineering, construction, and related firms. Compared with ten years ago, architectural firms have increased the number of business developers they employ by 20%, engineers by 34%, and construction firms by 45%. A decade ago we were enjoying the pre-recession boom in the A/E/C industry, so the growth in dedicated BD professionals is significant. For the number of seller-doers compared with ten years ago, the statistics are equally impressive. Thirty-three percent of architects have increased the number of seller-doers on staff, while 43% have increased the amount of time that their seller-doers spend doing business development. For engineers, the numbers are greater: 45% of firms have added seller-doers while 45% have increased the percent of time that seller-doers focus on the sales portion of the equation. And for contractors, 41% have added seller-doers while 49% report that their seller-doers spend more time on business development than they did a decade ago. To firm executives, this means one thing: more overhead. So what gives? Why are firms willing to increase their labor expenses for business development? There are numerous factors driving this trend, but the reality is that we are in a highly-competitive marketplace. Client loyalties have changed: whereas a decade ago there was so much construction happening that a lot of firms could “sit back and wait for the phone to ring” (it’s never really that easy, is it? ), that isn’t the case anymore. We’re in a new era of purchasing, with the dreaded “three-bid mentality” destroying long-term relationships and potentially negatively impacting the owners/clients – when the A/E/C firm that knows their culture, facilities, and/or structures isn’t the low bid and newbies come in, this could be a good thing. Or a very bad one! Third-party facilities managers are increasingly common, as are prequalification/screening firms. So a client you’ve worked with for twenty years may suddenly outsource A/E/C hiring decisions to a firm that doesn’t know you, or require you to go through a screening process (often online) to see if you meet their “new” criteria. Contract language is changing as well, with the dreaded “duty to defend” clause appearing in an alarming number of contracts, forcing firms to walk away from existing clients because the contract terms have become unacceptable – or even uninsurable. Beyond that, Baby Boomer clients are retiring in droves, taking with them the loyalty to certain architecture, engineering, environmental, consulting, or construction firms, and their replacements often have no loyalties, forcing you to “start from scratch” with a long-term client. Furthermore, depending upon your geographic area and the markets you serve, there may very well be a lack of work to go around. Some areas and markets are booming; others not so much. So because of these many reasons, and others, A/E/C firms need to have more “feet on the street” when it comes to business development. They need to search wider and deeper to find new clients – or even gain repeat commissions with past or current clients. But this isn’t permanent, is it? Certainly, the tide will change. Right? Well, according the SMPS/SMPS Foundation research, firms believe we are in a new norm – one that may become even more extreme over the next decade. Survey participants were asked about anticipated staffing changes in the coming decade. Fifty-one percent of architectural firms anticipate adding even more seller-doers while 38% expect to hire more business developers. Engineers are projecting significant expansion of these positions as well, with 59% of firms planning to add seller-doers and 52% expecting to add dedicated business developers. The numbers were similar for construction firms, with 52% anticipating adding seller-doers and 53% adding business developers over the coming decade. More business developers + more seller-doers = more contracts. Simply put, in order to grow, they have to expand the ranks of people involved with sales. And they hope – expect – that “a rising tide will lift all boats,” so that ultimately they aren’t spending more for business development labor as a percentage of revenue, otherwise it comes directly off the bottom line. But are A/E/C companies approaching business development wisely? Do they have the right stuff, baby? 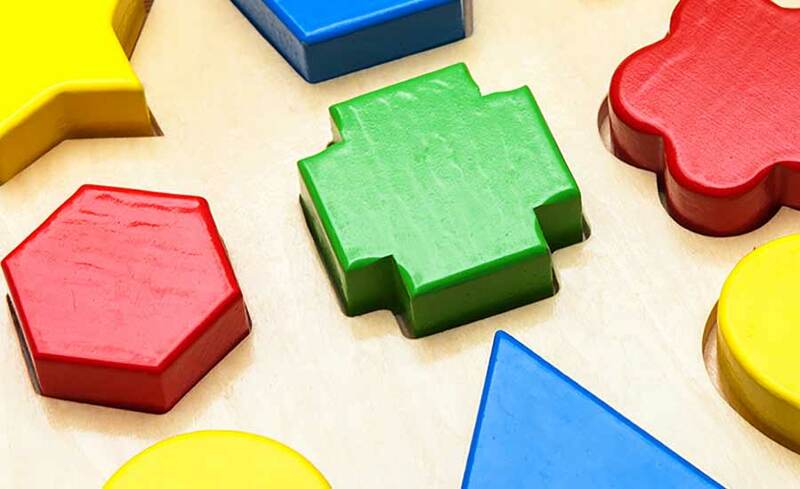 As much as firms would like to have a one-size-fits-all, out of the box approach to BD staffing, the reality is that every firm needs to develop the formula that works best for them, and their unique circumstances. This begins with a thorough understanding of your target markets. The majority of successful firms are focused on a few primary markets. Yes, there are still generalists, but they increasingly struggle when competing against niche firms, often being unable to pass the “sniff test” when it comes to baseline qualifications. So take a good, hard look at the markets you pursue. Where do your firm credentials exist? How about staff credentials, which are often of equal or greater importance to firm experience? Are these markets profitable? Just because you do a lot of K-12 education work doesn’t mean you should, particularly if you keep losing money on projects! When you truly understand your firm’s areas of focus, you next need to match your business development approach to those markets. Alignment is critical here, or you’ll struggle to maximize the value of your BD staff. Some markets make a lot of sense for the seller-doer approach. Clients are highly sophisticated and expect detailed, technical-driven conversations from the very first meeting. Failure to align your salespeople with the clients’ expectations can be the kiss of death: you won’t be invited back for a second meeting. An example of a market like this would be industrial or health care. Even if the roadmap you are developing seemingly requires all seller-doers,t discount the role of the dedicated business developer. Other markets, however, do not require such technical conversations early on. The gatekeepers, and even decision makers, may not be technical in nature, and a non-technical business developer may offer perfect alignment for the client needs, excelling at the front-end “getting to know you” conversations. Local governments, for instance, often fall into this bucket. Maybe all of your target markets favor the seller-doer approach, maybe they all favor the dedicated business developer. Most likely, there is a need for both. If you are a small firm, having a dedicated business developer may not be an option; yes, there are some very small firms that have fulltime sellers, but that is not the norm. Even if the roadmap you are developing seemingly requires all seller-doers, don’t discount the role of the dedicated business developer. Recent SMPS research has found that the role of sales professionals is changing, evolving. They are still actively doing business development, but increasingly they are coaching seller-doers, training them to be effective sellers. They are looking at strategic plans and aligning the sales programs. And they are often the first voice or face that a prospective client encounters, opening the doors for the seller-doers. I often hear it said that business developers are openers – they open the doors at prospective clients, while seller-doers are closers – they are closing deals, landing contracts. Because both roles are so critical, firms are adding and will continue to add both positions. But only you can determine what makes the most sense for your markets, your services, and your geographic regions. One size only fits one size, so don’t try to force square pegs into round holes – you may lose clients, project opportunities, and talented staff along the way. And for many firms, losing talented staff is as terrifying a proposition as not landing new project commissions. Highly effective seller-doers are rare, and when a company loses one, they may lose a lot of business when that person leaves. Likewise, while only 8% of participants in the SMPS/SMPS Foundation survey reported that they can’t find qualified business developers, that number will certainly grow in the coming years. Rainmakers are retiring, and veteran business developers – who came into the A/E/C industry in the early days of the profession (until the late 1970s, it was illegal and considered unethical for professional services firms to sell or market) are retiring. Plus, the demand for BD professionals – and seller-doers – is growing, so it will become more difficult to find these positions in the future. So what’s the takeaway? Look at your markets and your BD approaches to ensure that you are aligning the sales function with the client/prospect needs. Evaluate your staffing and identify the gaps. And develop a plan to ensure that you are not only effectively responding to the market today, but will be in the coming years. Bitcoin and digital currency more broadly is one of the most divisive concepts of our time. The idea of a currency which is not controlled by a state or a corporation and which maintains such a high level of privacy for its users is a much-needed relief for some and a threat to the whole economic and political system to others. One thing is certain: its value has soared over the past 12 months from just over $400 per bitcoin a year ago to over $1,350 in recent weeks. As bitcoin is primarily used for trading or transferring value, the value of bitcoin is controlled by the total value of goods in transit tied to bitcoin as the payment medium. As more and more trade is taken up using bitcoin as the transaction medium, the value of bitcoin will rise to equal that trade. With non-digital currencies, this valuation fluctuation can be controlled by the government or state monetary authority controlling supply (through variation in the amount of currency created) and controlling demand (through setting interest rates). However, governments cannot control the supply of bitcoin so as the currency becomes more widely used, a continuous increase in the value of bitcoin is predicted. This theory is born out of research undertaken by the World Economic Forum. 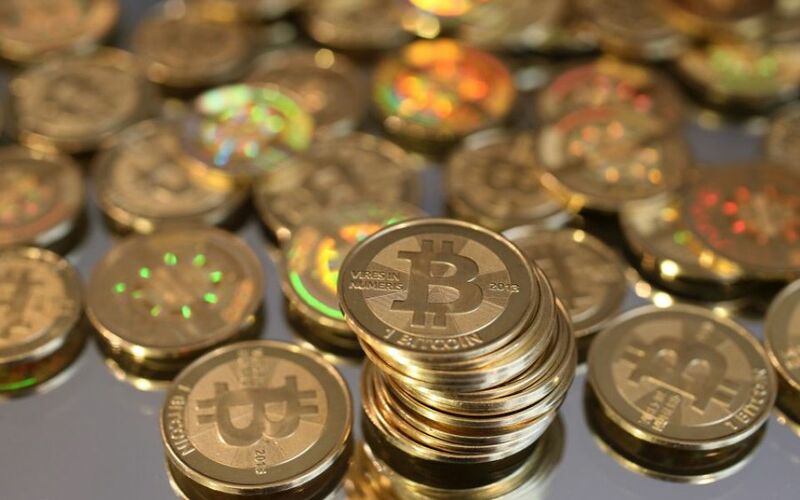 While many will associate the use of bitcoin with the purchasing of illicit materials from sites such as the now defunct Silk Road, there are now potentially much more lucrative opportunities for criminals. The dark or shadow economy is estimated to take up somewhere in the region of 17 percent of the world's total GDP. Due to the level of anonymity bitcoin provides, there is a huge opportunity for its use to avoid anti-money laundering legislation. Any increase in use here would result in a reflected uplift in the value. As bitcoin becomes more pervasive, we predict governments will try to control it, try to understand more detail about how it is being used and try to monitor its use in the dark economy. However, because of the structure of bitcoin, and the encryption and anonymity which is baked into blockchain there is very little opportunity to control this. The only clear way for nation states to control the distribution of the currency would be for them to buy up the supply and stockpile bitcoin, as many have done with gold. Regardless of what bitcoin is being used for, the key takeaway is that it is being used more and more widely and that this expanding use is resulting in a corresponding uplift in value which shows no sign of slowing anytime soon. Bitcoin prices have surged following Japan’s decision to allow the cryptocurrency as a legal method of payment, marking a major step in its adoption. The price of a bitcoin rose above $1,140 (£909) according to Coindesk’s price index. Just over a week ago one bitcoin was trading below $1,000. Japan's new law will mean bitcoin exchanges have to comply with anti-money-laundering and know-your-customer regulations. 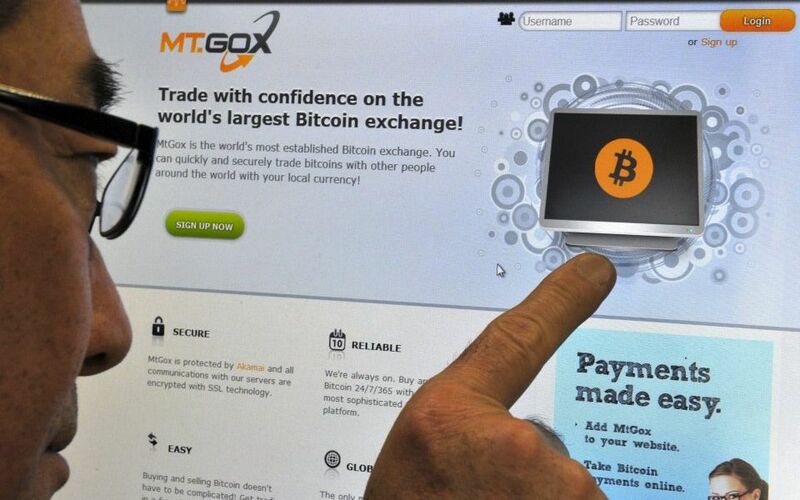 The cryptocurrency was drawn to Japanese regulators' attention by the spectacular collapse of the Tokyo-based Mt Gox exchange in February 2014. The push to institutionalise bitcoin had been dealt a blow by the failure of a new exchange-traded fund (ETF) tracking the currency to gain regulatory approval from the US Securities and Exchange Commission (SEC). The SEC had been concerned by the lack of regulatory oversight in the bitcoin spot exchange market, which would allow market manipulation and fraud. Yet the move by Japan recognises bitcoin as a valid part of the financial infrastructure, setting an example which other governments will watch closely. Pavel Matveev, co-founder at bitcoin platform Wirex, said: “Japan has fired a starting pistol in terms of cryptocurrency adoption. “Japan’s recognition of consumers’ appetite for cryptocurrency payments is an important development and provides other governments with food for thought if they wish to compete in an increasingly globalised and digital world." Bitcoin’s adoption has slowly moved from the more arcane, even anarchic, corners of the libertarian internet towards being increasingly accepted in the mainstream. However, the cryptocurrency still faces barriers to institutional take-up, with massive volatility in prices and scepticism from regulators stemming from bitcoin’s central role behind online black market payments. There are also concerns within the developer community around bitcoin’s architecture. It is based on distributed ledger technology which means every user has an identical record of payments, stored in the blockchain. However, the rapid expansion in bitcoin activity has led to debates about increasing the size of the blocks. Some in the bitcoin community fear a “hard fork” in which two competing versions of the cryptocurrency exist, fragmenting a market with little central control. During the World Economic Forum at Davos, Christine Lagarde, Managing Director, International Monetary Fund spoke about virtual currencies and released a paper titled “Virtual Currencies and Beyond: Initial Considerations.” The paper examines virtual currencies as well as blockchain. It reads, “VC schemes and distributed ledger technologies can strengthen financial efficiency by facilitating peer-to-peer exchange while reducing transaction times and costs, especially across borders…Beyond payments systems, distributed ledger technologies have implications for a wide range of markets and financial market infrastructures as a fast, accurate and secure record keeping system, including for stock exchanges, central securities depositories, securities settlement systems or trade repositories.” While blockchain has applications beyond bitcoin, the two are intertwined. In fact, bitcoin can be called a beautiful, first application of this amazing technology. Throughout history, records of transactions have always been an essential part of tracking information, be it in commerce or government activities. Such recordings created ledgers, which house these records. Blockchain supports digital distributed ledgers that record and store data. The data is ‘distributed’ across a whole network, which can be open to everyone (“unpermissioned”) or restricted in terms of participants (“permissioned”). Blockchain’s distributed ledger has great potential of cost-saving especially for international remittances for the banking system. 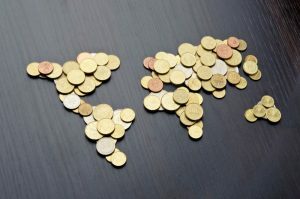 According to the IMF report on virtual currencies, “The costs of sending international remittances, however, are notoriously high: as of 2015, the global average cost of sending small remittances (for example US $200) is 7.7%, though this has declined from just below 10% in 2008. In contrast, the cost with Bitcoin is estimated to be about 1% (Goldman Sachs, 2014).” Banks are looking to act fast as blockchain-based remittance systems have already made a debut; in the Philippines and Kenya, such platforms offer transfers via bitcoin and back into fiat currency. Besides cost advantages, the other area where banks are looking to benefit from blockchain is efficiency in operations. The use of this technology will help them get rid of ‘headache work’ like manual processes, middlemen, huge data entry and verifications; blockchain making all possible at a faster speed and greater accuracy. The blockchain technology is being looked at as a great invention, which has many potential uses in many other industries such as music, healthcare, diamond, real estate and more. Even governments are showing interest in the breakthrough technology. The healthcare industry has shown interest in the blockchain technology and companies such as Facto, Tierion, DNA.Bits, BitHealth, and Gem are working on such projects. A tweet in October 2015, revealed a project for Philip Healthcare Group in collaboration with Tierion. The health care sector holds a lot of confidential information, like records of medical history, diseases, payments, and treatment. The blockchain not only provides a solution to the concern over the security and privacy of such sensitive data, it would help eliminate the huge costs incurred by hospitals and healthcare service providers in managing the patient and other such information. Not far behind is the music industry, which has its own tailor-made blockchain. PeerTracks, a music streaming, and retail company is the first outfit to use the brand-new MUSE platform, in partnership with Danish exchange CCEDK and OpenLedger. OpenLedger, through its Danish registrar CCEDK, is now offering a fiat gateway – enabling anyone to buy MUSE for USD via the OPENMUSE/OPEN.USD market. On platforms using the MUSE network, such as PeerTracks, all the payments made by consumers, and income generated by artists, are in crypto-USD, so there is no confusion about how much a track costs – and no issues with crypto’s trademark volatility. The technology is also being put to use for creation of decentralised credit rating and KYC. “Algorythmix has been named the most transformative use of blockchain in Citi Mobile Challenge APAC 2015, for “Cetas – The decentralised KYC and Credit rating framework. Cetas is a decentralised platform which enables sharing of the KYC data using blockchain.” There are many other projects working around the blockchain technology like Microsoft Corporation’s (MSFT) Azure Blockchain as a Service program, and the Open Ledger Project spearheaded by IBM overseen by the not-for-profit Linux Foundation. The project involves other big names like Wells Fargo & Company (WFC), London Stock Exchange Group Plc., Accenture Plc. (ACN), Cisco Systems, Inc. (CSCO), Digital Asset, Intel Corporation (INTC) and many more. This is just an overview of the multiple projects being worked around this innovative technology. The blockchain technology, still in its early years, has thrown down the gauntlet in front of the current systems, challenging them to overhaul. 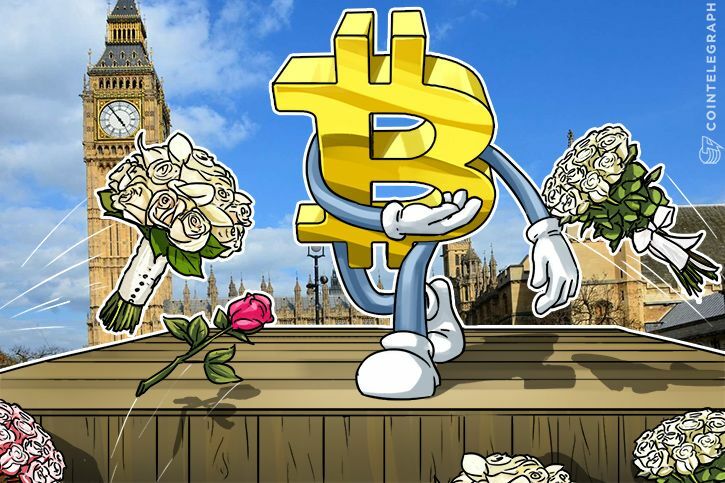 Our London Correspondent Nick Ayton, the Sage of Shoreditch, reports on new promising ICOs, Mormons seeing the light in Blockchain, Satoshi run over in Picadilly, Blockchain entrepreneur abducted by aliens and CityChain 2017 which was a huge hit! In short, another exciting week in fintech capital whereby some Blockchain is apparently seen as a religion. The Mormon church realized Proof of Donation consensus could be a blessing in disguise. Forget the West End play called “Book of Mormon” and let me introduce you to the Ledger of Mormon. Obsessed with record keeping, the church that is, it wouldn’t be long until it was adopted by one of the mainstream faiths. “The Ledger of Mormon is the perfect place to record all donations that come from our communities” mentions Donald Osmund. Among the upcoming ICOs, I am looking forward to is Metal. Announcing the ICO its founder Marshall Hayner told me about their Proof of Payments Processed consensus that allows everyone to get rewarded for every dollar spent. Other ICOs are Aeternity delivering Lightning-based Smart Contracts that is already active, and of course Cosmos and TaaS ICOs gaining pace with the big one Storj attempting to solve the decentralized storage challenges of Blockchain that is expected anytime soon. Satoshi gets run over by a chocolate lorry delivering Easter eggs. CT: I got a call from Vittalark Buttering who seemed very panicked on Tuesday. Vittalark Buttering: He is not that badly hurt you know. CT: Who? Like I didn’t know. VB: Satoshi’s been run over by a chocolate duck shaped van on Picadilly. VB: I think so, he is at the Royal Chelsea Hospital and I am on my way to see him. Apparently, he was impaled on chocolate bunnies and might not be able to eat chocolate ever again. CT: Well that is a relief. Maybe he could design Proof of Cocoa. But before I got an answer the line went dead and Vitallark was gone. We hope Satoshi makes a full recovery and he con continue to eat chocolate. Following a successful Blockchain for Business People event to hot ticket, this week was CityChain 17 with some familiar names speaking. The event didn’t disappoint as it was produced by ‘mbn solutions’ based in Glasgow who are at the center of the Scottish Blockchain movement which has seen Nicola Sturgeon and the Scottish Parliament support. Hosted by Paul Forrest (Chair) and organized by Michael Young there was a healthy dose of Hyperledger ever present but it was Gideon Greenspan CEO CoinSciences and brains behind MultiChain that for me stole the show, although Dave Birch at Consult Hyperion was the audience’s favourite delivering an amusing talk announcing “Blockchain is a religion, not a technology” soundbite. With talks from Simon Taylor, Director of Blockchain at 11:FS, Peter Bidewell at Applied Blockchain and John McLean of IBM CityChain have shown it was a well-rounded event, definitely one for your Blockchain Calendar. West Ham Football Club Fan and Blockchain entrepreneur abducted by aliens, again… CT Catches up with Billy Whizz after another alien sighting when Billy’s pork pie goes missing. CT: So Billy what happened this time? Billy Whizz: As usual I had just purchased a pork pie on my way out of the ground where once again we let a 2 goal lead slip. BW: It was different to last time. I had just taken a bit of my pie when I was covered in a blue light. BW: Not it was over my head, and then I was in a misty room and it was really hot. CT: You sure it wasn’t in the back of a Police Van? BW: Are you going to take this seriously or not? When I looked down my pie had gone, and I saw some shadows at the back moving around and it sounded like they were eating my pie. Then I was back on the ground, in Upton Park Road, which is strange because West Ham doesn’t play there anymore. CT: Did they tamper with you? Well, Billy, there is a pattern emerging, you shouldn’t buy food after the game as it seems the aliens are hungry at this time and are tracking you. 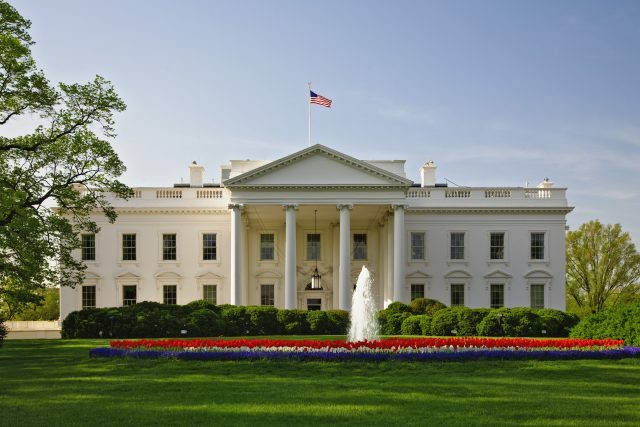 US government interest in fintech continues to trend as the White House hosts a dedicated event – and says fintech is leading reforms for consumers and institutions alike. The remarks were made by Adrienne Harris, Special Assistant to the President for Economic Policy following the FinTech Summit event Friday, which she led. 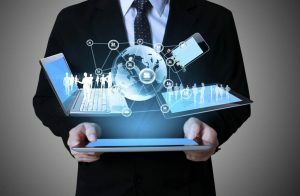 “Technology is changing the way consumers relate to their finances, and the way institutions function in our financial system,” Harris’ blog post summarizes. The event played host to a range of financial industry figures – “stakeholders from across the financial technology (fintech) ecosystem, including traditional financial services institutions, fintech start-ups, investors, thought leaders, and policy makers” – and discussed everything “from big data to blockchain,” she writes. Government representatives were also present, including Secretary of Commerce Penny Pritzker, who moderated a panel on how to ensure fintech startups and big business have the resources and support to innovate for the benefit of the US economy. Also discussed Friday were allusions to the problem of financial data handling in the US and its potential risk to consumer integrity, following a report the government published in May. “[F]inancial data can help prevent fraud, assist consumers with managing their financial lives, and prompt access to credit for underserved populations,” Harris reports. “But these opportunities also come with risks for consumers, including risks to privacy and civil rights.” A recent Bitcoin.com piece on the problems of legacy finance for US consumers demonstrates the growing awareness of the need for change from businesses, and policy makers would appear to be making similar – if more understated – acknowledgments. Also acknowledged were the empowering of developing-world communities to increase “resilience” through fintech, specifically mobile-based payment networks such as those active in Kenya and India. Imagine a world in which your phone can help you make financial decisions […] Imagine a time when, as a small business owner, you can accept payments online from all over the world in minutes. Or when you can send money to relatives back home instantly and automatically. For those with an awareness of the Bitcoin industry’s many financial service providers – from remittance to merchant solutions and beyond – calls to “imagine” such a world may well sound behind the times. While the White House may consider fintech to be “increasingly changing” consumer and business habits, the increasingly common perception is that cryptocurrency-based alternatives have already done so for an increasing section of the world’s population. Favorable trade winds from the East are propelling Bitcoin’s price to new highs as the halving looms. There are numerous factors at play, however, that could create the perfect storm to test the all-time high. Let’s take a look at four major reasons why Bitcoin is outperforming other currencies and asset classes in what could be its breakout year. Bitcoin was officially the top performing currency of 2015. At press time, BTC price is up over 50% against the US dollar since Jan. 1, 2016. Meanwhile, traditional investors are scratching their heads. A hawkish Fed one day, then dovish the next. Current economic data is mixed at best and headed toward another global recession at worst as all eyes are on “stock whisperer” Janet Yellen. 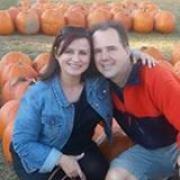 “Market players are pricing in just a 2% chance for a rate hike this week and 23% for July, according to CME Group’s FedWatch tool,” reports Investing.com. “September odds were at about 37%.” By contrast, one important feature of Bitcoin is its certainty. Not only is its total supply of 21 million bitcoins known and set in stone, but its block reward —the rate at which bitcoins are created — will be cut in half about 26 days from now. Presumably, pricing in odds of a Fed rate hike in a “casino gulag” economy is shaking investor confidence. Let’s also keep in mind that every fiat currency is not only uncapped but has failed throughout history. It’s no secret economic trouble is brewing in China. Recent numbers show that a slowdown in private investment in May is overshadowing other, more upbeat economic data. This has resulted in a recent 3.2% drop in Shanghai shares. What’s worse is that European businesses are expressing “growing pessimism” about doing business In China, reports the IBTimes. Specifically, a recent EU chamber report found that 57% of respondents felt foreign companies were “treated unfavorably compared to their domestic counterparts,” and 56 percent said that doing business getting more difficult. At the same time, China has a lot of so-called “hot” money “that has to go somewhere,” explains Huobi CMO, Du Jin. As the regulatory landscape becomes clearer and security improves, confidence in Bitcoin exchanges is being restored in the post-Mt. Gox world. “There is a strong trust in exchanges and platforms for purchasing Bitcoin, such as Bitstamp, which recently got EU regulatory approval,” writes Civic CEO, Vinny Lingham. As a result, interest in Bitcoin seems to also be crawling out of the trough of disillusionment. Hype is jumping from buzzword to buzzword: from Bitcoin to blockchain, from permissioned distributed ledgers, but ultimately back to Bitcoin. This is because, in time, more and more people will realize the superiority of the open blockchain, much like an open internet. A continued increase in price also means more attention from traditional finance. Traders will not only find it increasingly hard to ignore such a performer, but also the clear frontrunner in the blockchain technology arms race. Incidentally, today’s sole Bitcoin exchange trusted fund (GBTC) is hitting new highs, boosting Bitcoin’s legitimacy in the process. Bitcoin offers unprecedented mobility and security of funds for the user. Today’s financial system makes moving money and gold around the world slow, costly and inconvenient due to friction and capital controls. Not so with Bitcoin. Whether a few pennies’ or a million dollars’ worth, transfer fees are negligible while your funds are always with you on your device. 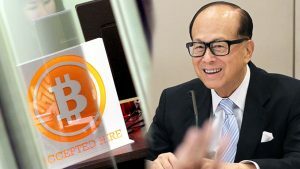 In fact, it is reportedly becoming a new favorite method for wealthy Chinese to move capital out of the country and as a store of value similar to gold. But unlike gold and traditional money, you can easily secure your funds without a need for a vault. To wit, your gold, cash, and even your bank accounts can be stolen, hacked or even confiscated on a whim by the authorities, even if you’ve done nothing wrong. Your bitcoin funds, on the other hand, will always be under your control if your secret passcode is protected. In fact, there are numerous ways to safely store your bits. So why is Bitcoin outperforming everything along with its crypto counterparts such as Ether? Because they comprise a new niche that’s fostering real innovation in finance. It could soon add 4 billion unbanked individuals to the global economy as Bitcoin empowers every individual to be their own bank. In the shorter term, however, the upshot of the soaring price is increased attention that will add a new wave of users and set the stage for mainstream adoption. Meanwhile, traditional investors will find it increasingly hard to ignore what Forbes calls a “new asset class,” which is poised to outperform every fiat currency for the second year in a row. An interesting report was recently written by Digital Gold author Nathaniel Popper in the New York Times about the relationship between China and the Bitcoin network. Popper states that the cryptocurrency has become a multi-billion dollar industry and that the Chinese have a significant amount of influence in this environment. The Digital Gold author is not the only observer of this relationship between Bitcoin and China with firms such as Goldman Sachs reporting in 2015 that 80 percent of bitcoin volume is exchanged in and out of Chinese Yuan. 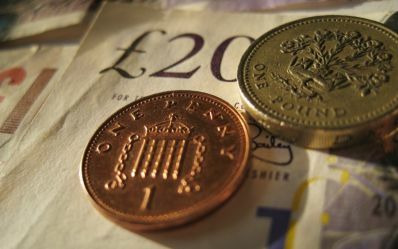 The report by the multinational finance company says the U.S. dollar follows second to the Yuan and Euros, with the Japanese Yen trailing behind them. Alongside the reports from Goldman Sachs, and the latest post from Nathaniel Popper and the New York Times, the Chinese government is also moving closer to legitimizing the cryptocurrency as a “Civil Rights Object.” The drafted law proposal was released in China’s Congress hearings in Beijing on June 27. However, a new policy created by the People’s Bank of China (PBOC) the region’s central bank will impose new fees on payment providers such as Alipay, and Wechat-Pay. Whether or not this will affect Bitcoin processors is unconfirmed at the time being. At first, the author details how miners in China had originally stayed with the small block Bitcoin Core developers who have stalled the software upgrade. However, miners such as Bitmain’s CEO, Jihan Wu, are becoming more vocal when it comes to expanding the network and some of them are straying from the Core alliance in search of alternatives to the block size. fiat value has exploded over the past two months. Many believe this is due to the country’s strict capital controls, the recent devaluation of the Yuan, Chinese stock market turbulence, and very high speculation concerning Bitcoin’s block reward halving coming July 10. 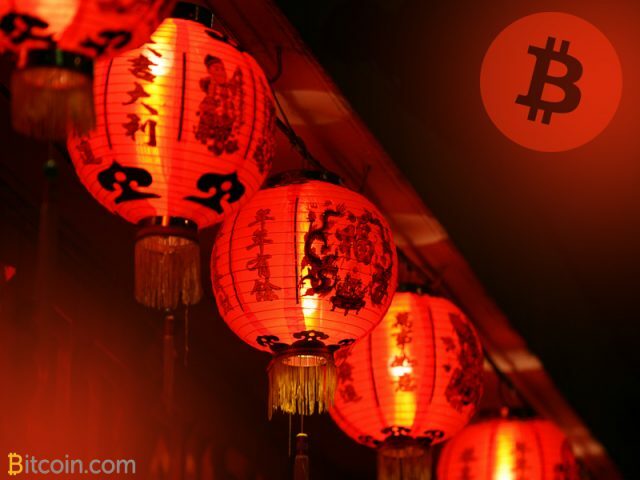 China indeed has a strong relationship with the Bitcoin network and continues to be a formidable player in the cryptocurrency industry. Investors in the region have also injected $60 million USD into the Boston-based Circle financial proving there are a vast amount of proponents within the Chinese borders. With financial giants like China at the helm of quite a bit of the Bitcoin network’s infrastructure, it’s safe to say the cryptocurrency is here to stay for the long haul. One can also assume the Chinese bitcoin miners and investors within the region will have a significant vote towards the block size debate and the future of the network. On November 3 the Bitcoin price took a dive from a high of US$745 to a low of $675 with news of China circling the internet. 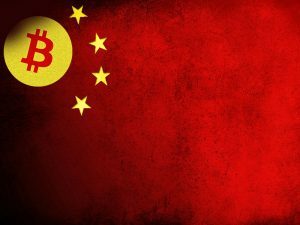 A so-called report from the publication Bloomberg had other media outlets assume that China was planning on curbing Bitcoin use in the near future. However, the reports have remained unconfirmed, and many believe the headline was fictitious. The stories that surround China and Bitcoin are quite vast. 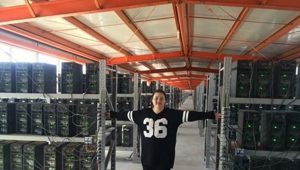 From “secret” mining operations to “free” electricity, to a large portion of Bitcoin transactions being traded for yuan the list goes on forever. The fact is news from China plays a significant role in a lot of people’s speculation. The November 3rd fiasco is no different as the news spread through the market and the community went wild. 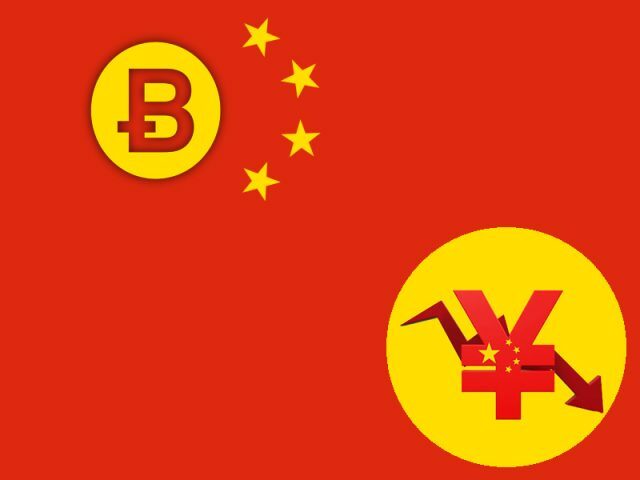 Early in the morning the publication ZeroHedge published the article “China Prepares To Impose Curbs, “Capital Controls” On Bitcoin.” The news outlet is well known for writing stories regarding the global economy and subjects like gold and Bitcoin. At times the publication writes editorials predicting the cryptocurrency’s value will pump. Many of these articles are very popular throughout the Bitcoin community. The November 3rd article was also quite popular, and some believe it made a difference in the market. The anonymous reporter Tyler Durden states within the article, “According to Bloomberg sources, Chinese officials are considering policies including restricting domestic bitcoin exchanges from moving the cryptocurrency to platforms outside the nation and imposing quotas on the amount of bitcoins that can be sent abroad.” However, the Bloomberg report cannot be confirmed as legitimate, and the article in question does not appear on their website. What’s interesting is that many people within the Bitcoin industry have claimed the reports are false. For instance, the CEO of Vaultoro explains that the recent Chinese headline may be false. The Vaultoro founder says while speaking with a friend who works for the Chinese Bitcoin company BitBank he was told the reports are misleading. Another interesting aspect of the story is the controversial Bloomberg article has similarities to another published piece this past May. The headline for November 3rds article read “China Said to Mull Curbing Outflows Via Bitcoin on Yuan Drop.” This title and the paragraphs that follow it are very much the same as this article published in May by the Bloomberg news outlet. The story called “China to Mull Curbs on Domestic Backdoor Listing Valuations” has almost identical wording as the alleged Bitcoin article with certain words replaced throughout. Furthermore historically when the price of Bitcoin rises stories of China and other countries banning Bitcoin have appeared in great number. When Bitcoin was on a tear in 2013 reaching close to $1150 per BTC, these stories came out often. Publications like Bloomberg reported on China cracking down on Bitcoin as well as Forbes, the New York Times, and many others. Typically when these reports published, the price took a dive, but government officials banning Bitcoin never materialized. The price of Bitcoin has managed to regain its upward push slightly below the $700 range. 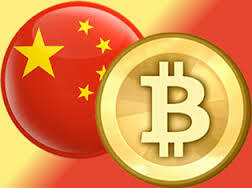 Reports of China curbing Bitcoin outflows seems to be just another rumor that shook up the market. Many wonder if these headlines will affect the value of BTC again in the future. Moreover, the question is how much does China’s stake in Bitcoin really matter when it comes to this industry?